This site is for users of Ancile uPerform and/or HP Adoption Readiness Tool. It can be used instead of a learning management solution (LMS). Choose an 8-letter code that no-one would guess. Edit your HP ART or uPerform template and set the assessment URL to the code from step one. 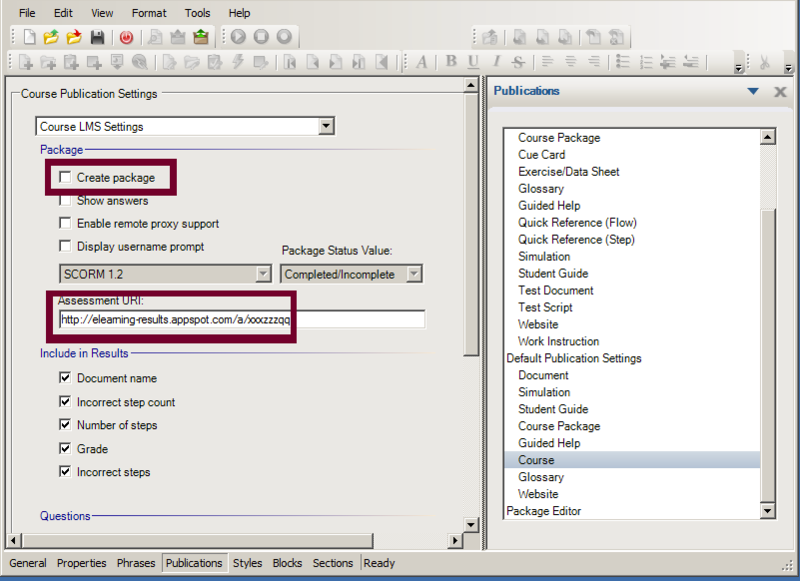 Publish your course content package anywhere. You can use any intranet site, SharePoint, a shared drive or shared folder, DropBox, HP Cloud or any web-hosting service. Wait until your students have completed their training. The package will send them to the URL from step one. The name the student entered. The IP address of the computer or proxy server which send the data. A best guess at the student's city, country and region. Enter your 8-letter code here to download your students' results in CSV format. This can be opened in any spreadsheet. Tell us your email address so that we can tell you about any new features or reports in the future. Questions or problems? Need better reporting, or notifications, or some other feature? Just want to give Greg money because you found this useful? Email or IM Greg Baker: gregb@ifost.org.au.